Cloaks are an excellent way to keep your identity hidden! 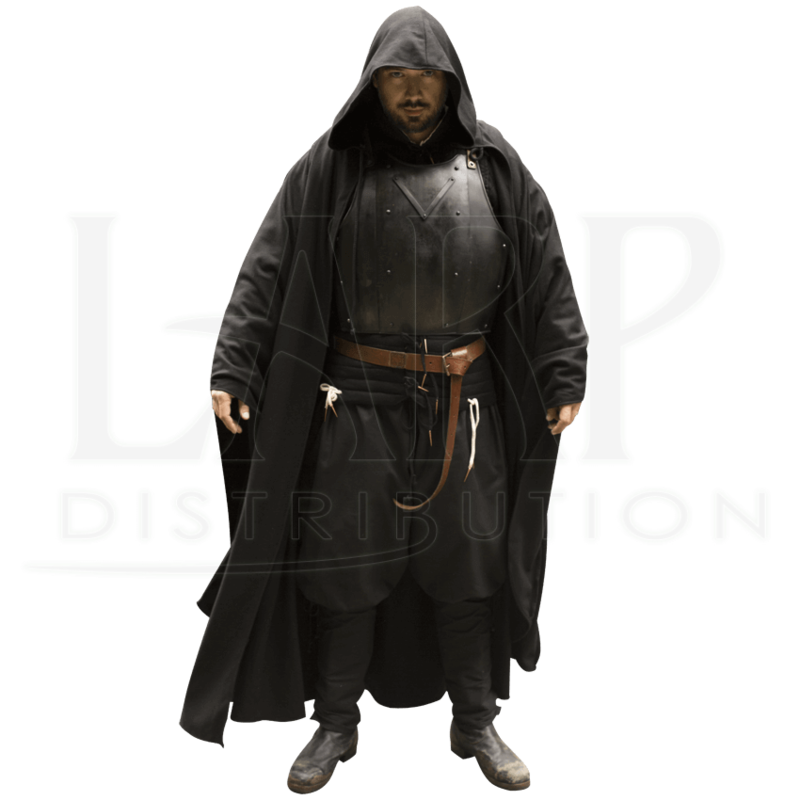 Their deep hoods provide shadows that cover your face, making them a favored item for rogues. The Wool Godfrey Cape will keep your face hidden, so that none may catch you. 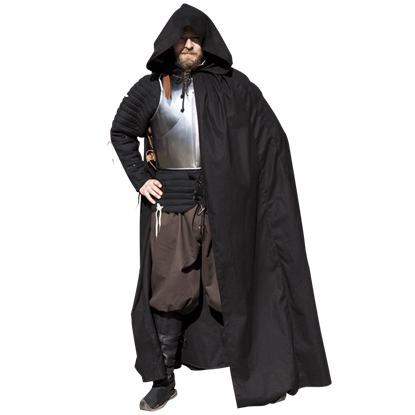 This epic cloak features a deep hood and a cape that wraps around your body. Two deep V shapes cut into the sides of the cape allow the use of your hands without having to uncover your arms, keeping you warm during chilly days and on cold nights. 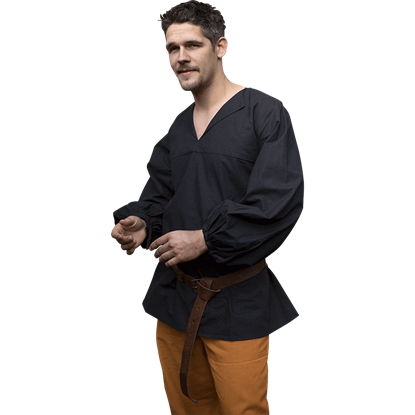 This wool blend cape is fastened around the neck via cotton cords. 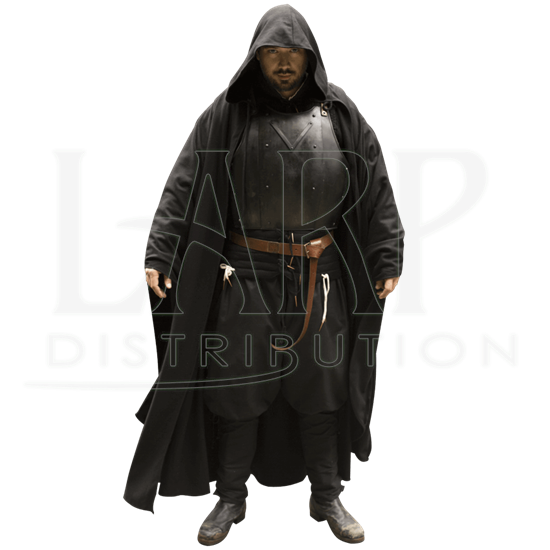 Add a touch of mystique to your cosplay or Ren Fair outfit with this roguish cape!